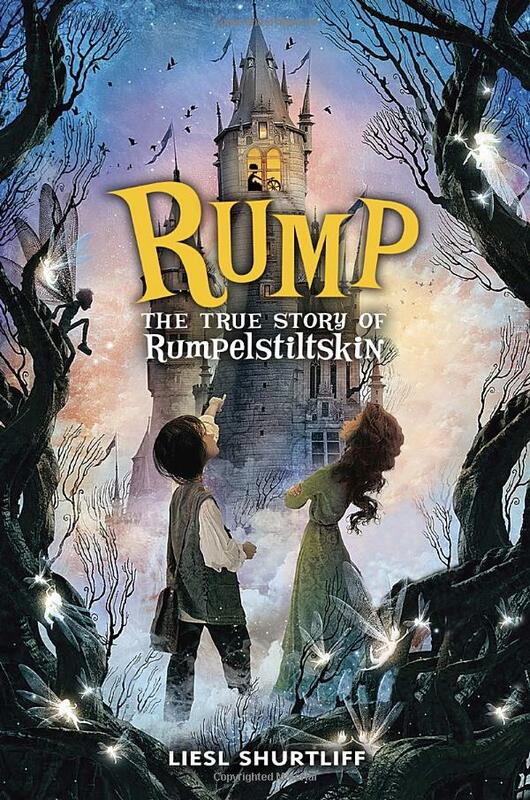 Spoiler Alert… Rumplestiltskin wasn’t a bad guy. Or so is told in Rump by Liesl Shurtliff. Shurtliff where the truth is revealed about a fairy tale “villain” that really is a likable protagonist in search for his full name and the destiny that comes with it. In a world where people believe that a person’s name is directly attached to their destiny, Rump wonders what his life is meant to be since he is named after a person’s backside. The path to famous fairy tale all starts when he discovers his mother’s old spinning wheel. While he is warned against using it, the magic inside of him draws him to the wheel and straw becomes gold. The need for more food leads Rump to spinning more and more gold, but what he soon learns is that he has no power over what he gets in return. This all leads to him to the fateful night where he the queen is in danger of losing her baby if she can’t guess his name. While there is a mystery attached to Rump’s search for answers, there is not much in terms of thrilling action or nail biting suspense. When researching books to add to my Goodreads, the few reviews stated this as a flaw and the reviewer gave it a lower rating. While I expected more action, the character development and insight Shurtliff delivers is more than enough to carry the story along and the reader engaged. The true test was with my almost 10 year old son. He LOVED the story and begged for “one more chapter” every night. He made comments like “I can really see the room in my head” and “wow, that stinks for him (Rump).” The clear vision into Rump’s world and the empathy he felt for this flawed character more than made up for lack of fart jokes and epic battles. I would recommend this book for mature 9 year old to young 59+ year old. In the end, we can all learn from Rump that friendship, faith in yourself and perseverance can free you from whatever destiny you may feel trapped in. Visit other blogs participating in the Middle Grade Mafia Blog Party!